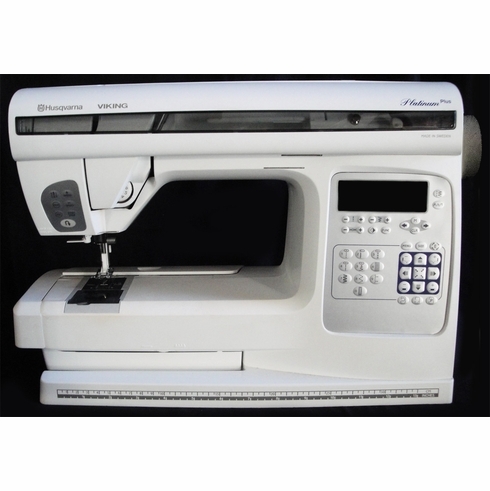 The Husqvarna Viking Platinum Plus provides access to a vast variety of embroidery designs. Now you can make your own motifs using the optional Husqvarna Viking 3D Professional embroidery software programs and, the Platinum Plus has all the other features you need to create with your sewing machine as well. Easy Threading: Follow the top threading guide arrows for easy threading.